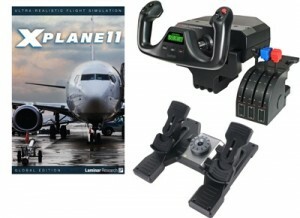 Get the Most out of Your Flight Simulator, X-Plane, MSFS, and most other sims. 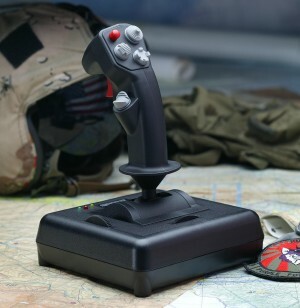 The experience of flying simply cannot be captured with a joystick alone. 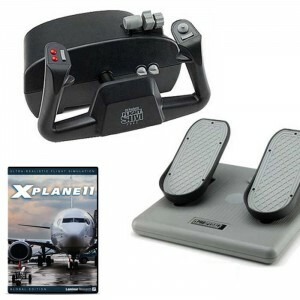 With three axes of control that will enhance simulated flights, Pro Pedals mimic the movement of the pedals found in many aircraft. Pressure-sensitive heel-toe motion gives you terrific feedback for differential toe braking, while a forward and backward sliding motion lets you control the rudder. 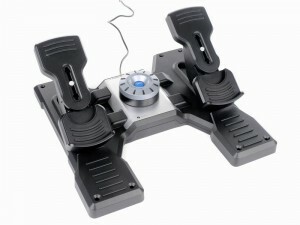 Also, the rudder axes can be locked to convert the Pro Pedals into an automotive setup for driving and racing games. 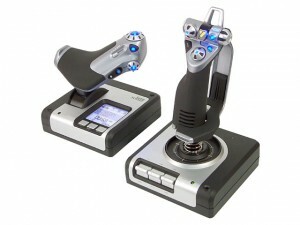 CAN BE USED WITH THE SAITEK YOKES OR ANY FLIGHT STICK. 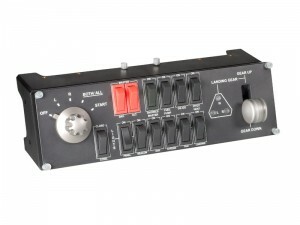 Controls 100% manufactured from metal. The PROPELLER and MIXTURE can be moved by sliding and with precision (rotary). Product: Length: 297mm. / Width: 189mm. / Height: 56.5mm. X-Plane is a very demanding piece of software. 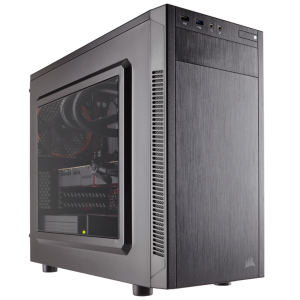 Please be sure you have a strong gaming PC with a gaming graphics card or the software will be unusable. Durable Stainless Steel shaft with precision bearings gives smooth and predictable elevator and aileron control. 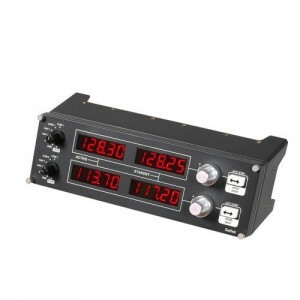 Accurately time each leg of your flight plan with the integrated chronograph. 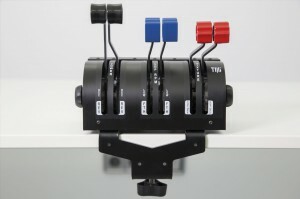 Separate throttle quadrant with additional switches to configure any combination of throttle, flaps, mixture or prop pitch. 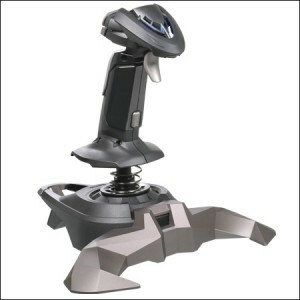 Mount on top, in front of your desk, pilot or co-pilot side so that the controls are exactly where you want them. 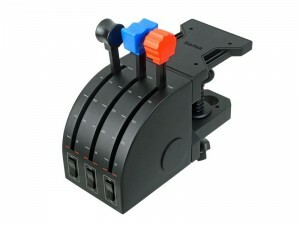 Unique, 2-position desk clamp keeps your yoke and quadrant securely fixed no matter how extreme the flying conditions. Width 14″ Depth 12″ Height 5″ Weight 19 lbs. 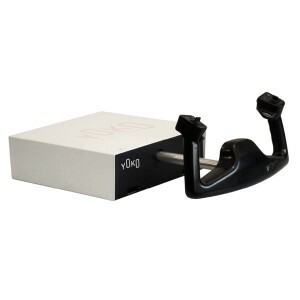 A yoke that uses less space, yet offers you a double longitudinal course: 144 mm. Linear ball guide technology that offers you extra-smooth touch. Length: (591-447)mm. / Width: 303mm. / Height: 185mm. 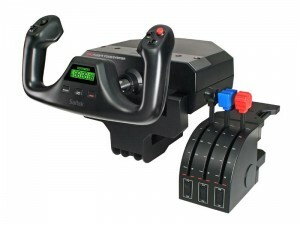 Saitek/Logitech Pro Flight X-56 Rhino H.O.T.A.S. 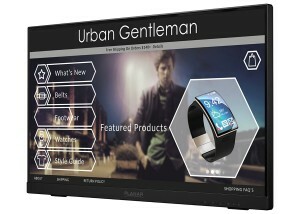 This intuitive 10-point touch display lets you unlock the power of today"s touch-enabled applications. 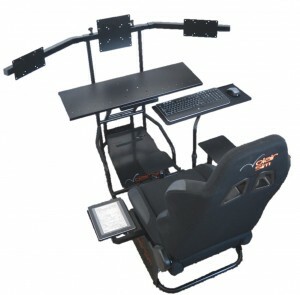 The Pro Flight Yoke System is highly engineered to meet the exacting needs of the true flight simulation enthusiast. 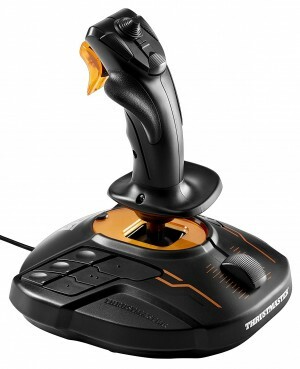 Stainless steel shaft, ergonomic controls, integrated chronograph and separate throttle quadrant ensure a smooth, accurate and totally realistic flying experience. 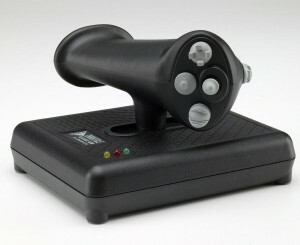 The CH Products USB Flight Sim Yoke gives you the feel of piloting, with controls and movement that simulate the experience of being in the cockpit. Movement across five axes gives you control of everything from throttle, prop, and mix, to aileron and elevator movement. 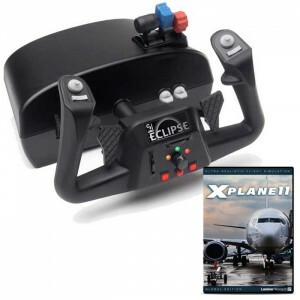 Programmable Features to Fit Your Flying Style Featuring many of the buttons and switches you'd find in an actual cockpit, the Eclipse Flight Sim Yoke greatly enhances flight simulator programs. 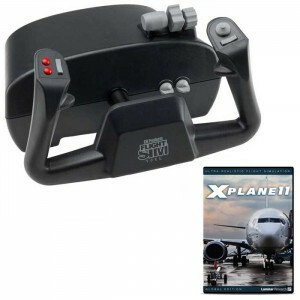 Six analog 10-bit axes give you control over aileron, elevator, propeller pitch, fuel mixture, throttle, and rudder movement, and the colored handles for throttle, prop, and mixture let you fly with confidence. 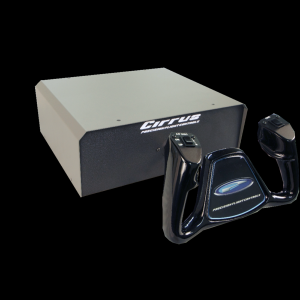 To add to your simulation arsenal, CH Products offers the only realistic jet styled slide throttle for the consumer gaming market. 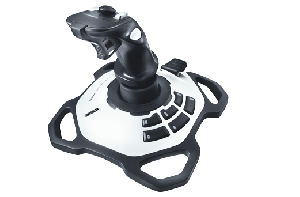 The Pro Throttle includes a total of 24 buttons and three axis (2 axis on the mini joystick), the Pro Throttle is an essential addition to your CH Products Joystick of choice. 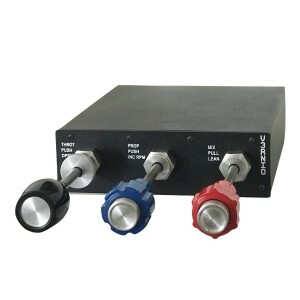 The Pro Throttle’s 3 separate modes, when used with the optional Control Manager programming software (PC compatible only), allow you to program up to 112 different functions on your device, and access them on-the-fly. 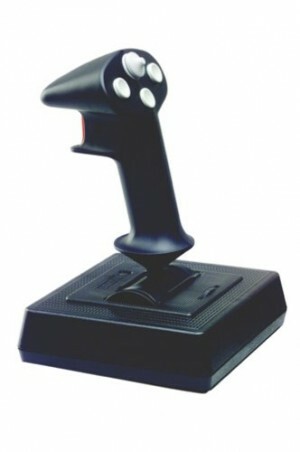 Dominate the skies or the ground with the control of 12 well-placed, fully programmable buttons and a rapid-fire trigger. Home in on your target with the deadly accurate direction control of the twist handle. Smooth and accurate throttle settings are a major bonus whether you're entering the fray or bugging out. The picture does not show it, but you can also line up as many as six of the Saitek instrument panels (3x2) on top of the yoke. 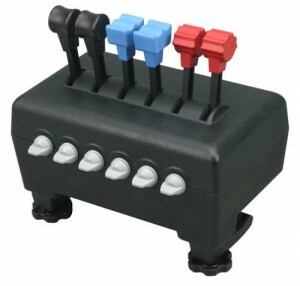 Powered 7-Port USB 2.0 Hub: This device allows you to hook 7 devices to it while only using ONE of the USB ports on your computer. 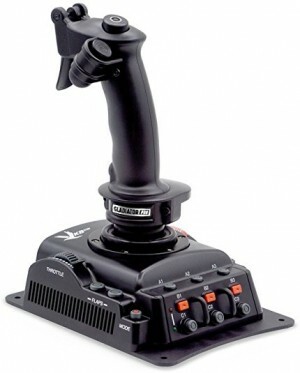 Also, the Saitek panels draw a lot of power. 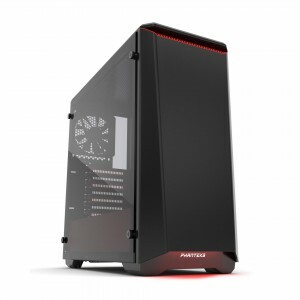 If you have several, your computer will not be able to provide enough power. 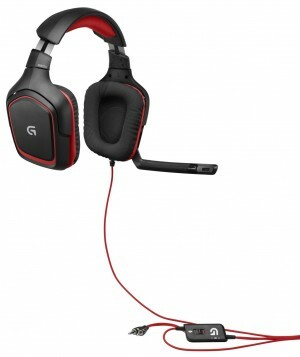 This device comes with a power adapter and can give you the power you need. 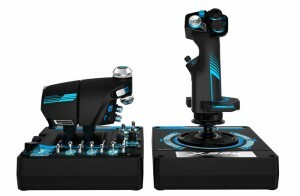 Upgrade your flight simulation experience for X-Plane with the Saitek Pro Flight Radio Panel. LED displays work fully in real time with Flight Simulator X and X-Plane, removing the need to use fiddly on screen controls. 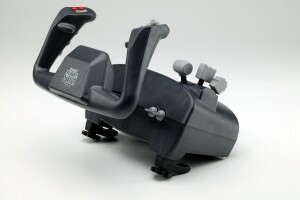 Mounts onto the Pro Flight Yoke System (sold separately) or into your own home cockpit setup. Autopilot display works in real time with Flight Simulator X and X-Plane, removing the need to use fiddly on screen controls. 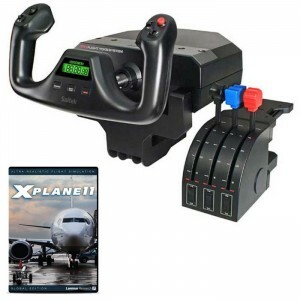 Upgrade your flight simulation experience for Microsoft Flight Simulator X and X-Plane with the Saitek Pro Flight Switch Panel. 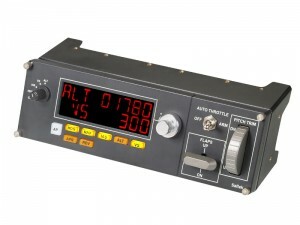 Whether attached to the Saitek Pro Flight Yoke System, free standing on a desk or mounted into your own cockpit setup, the Pro Flight Switch Panel is an ideal way to expand the number of controls for your flight simulation setup. 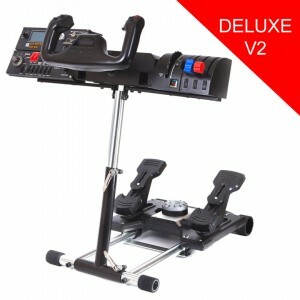 Volair Sim is the world's first Flight Sim cockpit featuring factory pre-drilled mounting locations for all of the Saitek Pro Flight accessories including the Saitek Pro Flight Yoke Radio PanelMulti PanelBIP, Switch Panel and the Instrument Panels. 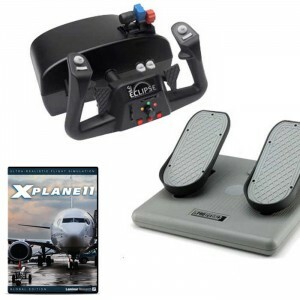 Volair Sim features fully-adjustable articulating keyboard and mouse tray, a must for any flight simmer. 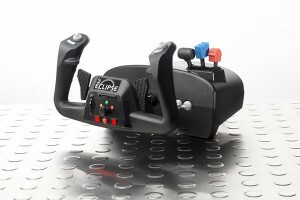 The left, center, and right side stick mounts are pre-drilled to accept a single or dual Saitek Throttle Ouadrant(s) Saitek Trim WheelThrustmaster HOTAS WARTHOG or Saitek X-55. 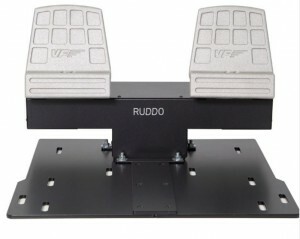 The adustable pedal base accepts a wide variety of rudder pedals including CH Products Pro Pedals and Saitek. This item is NOT available for store pickup as it is shipped out of Indiana. This item only ships via GROUND. Please do not choose 3-day or 2-day. We do not ship this to Canada. 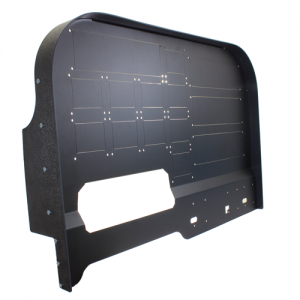 If you're one of those flight sim fanatics who takes your computer aviating seriously, the Flight Training Cockpit Advanced Panel is just the item that'll take your PC piloting closer to reality than you ever thought possible. We use this stand ourselves, and we love it. 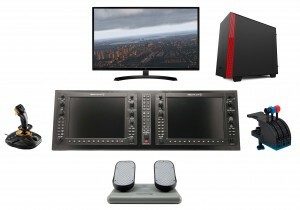 It is a great way to mount three monitors for a triple monitor solution. The unit is very adjustable allowing you to tilt each monitor individually. The height of the horizontal bar can also be placed in multiple positions (heights). 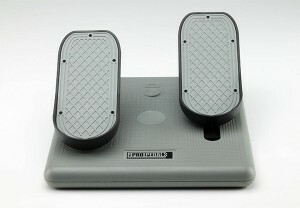 It comes with a super heavy base to hold the monitors very steady. It also comes with the parts to allow you to bolt it to the desk, if you desire. 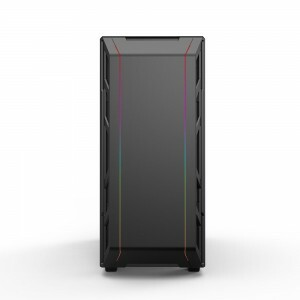 This unit would be great to pair with our White Lightning system that supports three 1080P monitors up to 27".